Picture two very different schools: one, a federal Indian boarding school emphasizing vocational training, where few graduates attend college. The other - its neighbor - an overwhelmingly white, land-grant university. These two schools had little to no contact, until an innovative initiative turned things around. In the fall of 2000, the Flandreau Indian School began a reform effort, Success Academy, aimed at preparing all of its students for postsecondary education. Over the next decade South Dakota State University responded by committing 300 of its faculty and staff and $85,000 of its annual budget to opening the doors of higher education to Indian students who had previously been excluded. The traditional way of increasing college access for students of color is through remediation, that is, through attempting to "fix" those presumed to be unprepared for higher learning. What sets Success Academy apart is that the educators involved chose instead to "fix" both their institutions, institutions that were actually preventing Indian students from entering college. Throughout all aspects of Success Academy programming, students' American Indian identities are affirmed, honored - and incorporated into school culture. Ethnicity matters in each and every aspect of Success Academy. 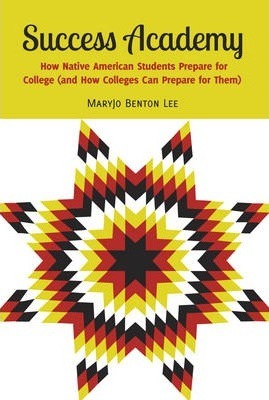 MaryJo Benton Lee holds a PhD in sociology from South Dakota State University. She is the co-founder and the coordinator of the SDSU-Flandreau Indian School Success Academy. She is an adjunct assistant professor in the Department of Sociology and Rural Studies at SDSU and is a member of the graduate faculty. She has published Ethnicity, Education and Empowerment: How Minority Students in Southwest China Construct Identities and Ethnicity Matters: Rethinking How Black, Hispanic and Indian Students Prepare for and Succeed in College.